For Investec to be perceived as a leader in financial services, it’s crucial for media to build stature and trust, tell an intelligent story and create relevance. We used their sponsorship of the Epsom Derby to do just that and reach those most likely to use Investec services. Forming a multi-media content partnership with the Telegraph, with digital audio, iconic outdoor formats, geo-targeted mobile and display, we not only associated Investec with premium environments, but also created a canvas to explore the sponsorship, with content, panel discussions and reader votes. 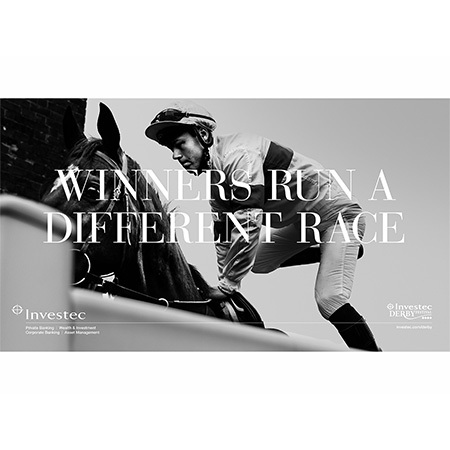 Bespoke formats which championed the creative ‘Winners Run A Different Race’ positioned Investec as a bank that does things differently. Vodafone tasked us to achieve a 10% increase in orders specifically from organic search year-on-year. We needed to drive traffic, sales and revenue for key products: Mobile Handsets, Sim Only, Pay As You Go, Mobile Broadband and Broadband. To achieve this, we focused our optimisation activity around product launches ensuring we could be first to market for new devices, launching AMP for device pages, as well as other technical and on-page optimisation. We also developed content initiatives that met the search demand of a wider target audience who were searching for more specific needs, and those who wanted to compare devices and PAYG products. Online casino Casumo needed to drive business growth, increase customer retention and reach new audiences using innovative and cost effective approaches. Data showed us that weather had a strong influence over how often and how heavily people engaged with the Casumo site. When the weather was wet, it prompted certain audiences to play more and for longer. Using this insight, we synced a real-time weather API to Facebook's API, so that Casumo ads changed automatically depending on the weather. Different dynamic creative ads were served depending on the forecast, location and audience. We also delivered specific offer messages to drive engagement and sign-ups from new users. ‘A Better Way to Fly’ was Air New Zealand’s first global brand campaign. We needed to raise awareness of the London to New Zealand flight route, the route via Singapore and in-flight service, and drive bookings to deliver a UK return on ad spend of 15:1. Our challenge was to reach a niche audience of flyers to New Zealand from the UK with a limited budget and creative that was not developed with a UK audience in mind. To achieve this, we developed a unique customer ecosystem which made efficient use of budget and intelligent use of creative. This ecosystem was designed to engage a broad travel audience, which we could then segment to serve personalised media. We only paid for people who engaged with the video, and profiled audiences as they viewed it so we could serve them relevant display, content or paid search ads as they continued their search for flights. In a rapidly changing, competitive market, we needed to find a way to use organic search to increase subscriptions of Equifax’s credit report product by increasing Equifax’s organic search visibility and traffic, while also improving brand awareness and saliency of the Equifax brand and their credit report product.We wanted to reach consumers who were seeking information about topics that were highly relevant to credit reports. We created a data-driven content strategy using our in-house tool Insight Compass, which helped make our efforts highly-targeted and more likely to drive traffic. We populated the Knowledge Centre, a content hub on the Equifax website, with helpful articles and downloadable guides on a variety of financial topics that would genuinely offer value to people in sometimes tricky financial situations. Bringing these people to the website helped us raise awareness of both the Equifax brand and their product. Travis Perkins are a leader in the UK’s building materials market, supplying parts and materials to tradespeople across the country. Our goal was to help them grow digital revenue by 60% year on year through paid and organic search. Since the start of 2018, we’ve delivered a search product that has increased natural search visibility and improved the efficiency (with an increased spend) in PPC. As the UK’s leading provider of roadside assistance, the AA have traditionally been a brand with a huge amount of heritage and loyalty among the UK population, but new entrants into the market and increased competition from the AA’s main competitors meant 2018 was going to be a demanding year.